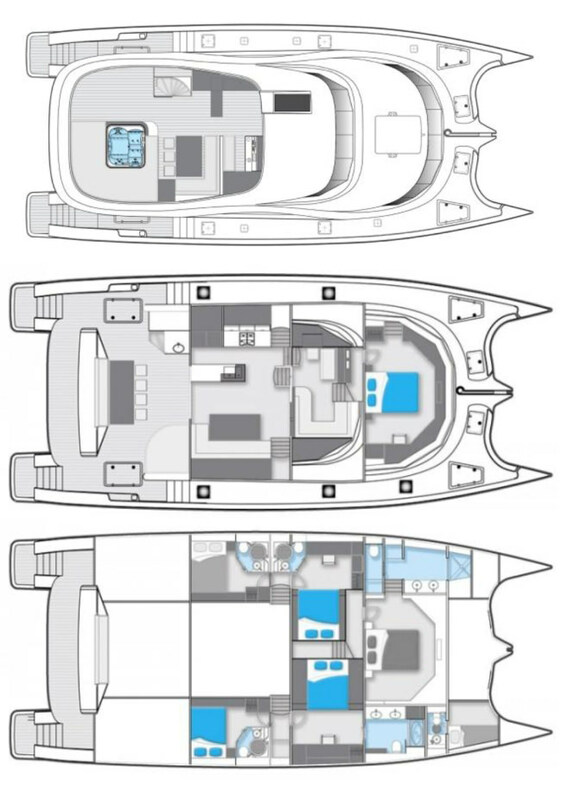 SKYLARK Yacht Charter - Saloon . Caro is an award-winning charter chef who is passionate about both good food and the sea. She grew up in a family dedicated to the pleasures of the table, and has been a hardened restaurant habituï¿½e since she was an infant. As an adult, she has had over fifteen years of experience in various aspects of the gourmet food industry. Although originally qualified as a graphic designer, these days she expresses her creative energy in preparing fresh, seasonal cuisine to spoil her guests; she also enjoys the challenge of creating menus to suit special dietary restrictions. Her repertoire is based on French classical technique, but the flavour variations reflect her travels through Mediterranean Europe, Mexico, the Caribbean, Egypt, Jordan, Syria, Persia, Israel, Mexico and parts of South-east Asia. Her other great love is the water: Caro is also a PADI dive instructor and has introduced people to the underwater world in the Canary Islands, the Sinai and the Costa Brava. Bubbly and endlessly curious, she loves meeting new people and listening to their stories.